Claim your Exclusive 65% Deposit Bonus Now! Don’t miss this wonderful opportunity to indulge in an easy-to-acquire bonus of 65% deposit match up to £65! 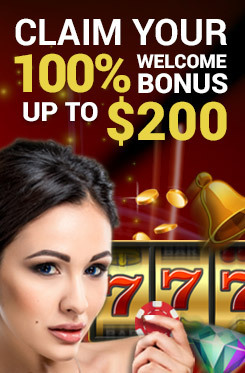 Simply make two deposits this week and walk away with some alluring bonus cash! Select “65% Deposit Bonus” when you make your 2nd deposit within the promotion period. The 1st deposit should also be made between 08:00:00 (UTC) 22nd February 2019 and 23:59:59 (UTC) 28th February 2019. Deposit up to £100 and get 65% match in bonus cash. Play with up to £165. Bonus is open to players from Selected Countries Only. All standard bonuses terms and conditions apply. Games with the highest payouts! The all mighty thunder god strikes again in a winning fashion at Mongoose Casino. Smell that? No, not the pig flop… that’s the smell of monayyy! The Luck of the Irish charms Mongoose Casino with a 3D slot.